The Candis Big Give is a fundraising initiative involving charities and their supporters. In 2019, Candis Club will donate a minimum of £250,000 from members’ magazine subscription revenue, via The Big Give, to health charities taking part in The Candis Big Give. Any additional monies will go to charities at the discretion of the General Committee of Candis Club. The Candis Big Give raised £1,239,470 for our chosen health charities projects this year including such familiar names as Cancerkin, PTSD Resolution and JDRF. We also welcomed some fantastic new health charities including Family Fund, Baby Lifeline and The Brain Tumour Charity. You will be able to find out more about how a number of our supported charity’s projects progress throughout 2019 each month. 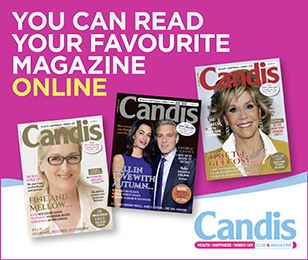 Since 1962, Candis Club has donated over £55.¾ million to health charities and by subscribing to Candis, you are already making a difference to these charities as it’s your subscriptions that enable us to make our donations.